RUSH: La Crosse, Wisconsin. This is John. Great to have you, sir. Glad you were patient and waited. Thank you. CALLER: Well, thank you, Rush. I’m glad to be on. The point I wanted to make is I’ve really been appalled all during the last weekend reading about Senator McCain and all this spite relating to his funeral arrangements. 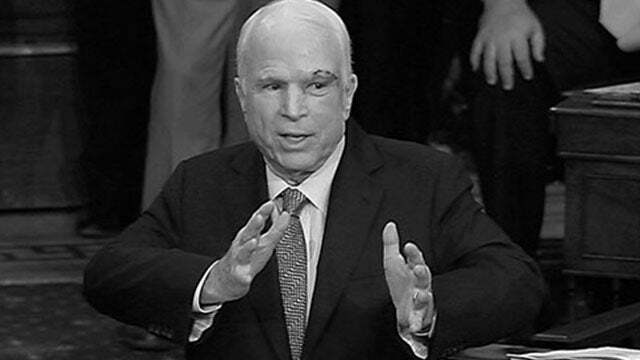 And, I mean, if he’s really just that eaten up with anger over it, honestly, Rush, I think that at the funeral someone should walk up just before they close the lid for the last time on Senator McCain… Someone should walk up and put in a copy of the Christopher Steele dossier to be with Senator McCain for eternity. RUSH: This is obviously a reflection of the fact that Senator McCain was one of the leading political figures pushing the dossier. He actually sent a member of his staff over to the United Kingdom to get an early copy of it when he heard about it. RUSH: Wait a minute. Has anybody apologized? Has Mueller apologized? Has Comey apologized? Has Brennan apologized? Has that stupid idiot Clapper apologized? Has Steele apologized? Has Hillary apologized? Have any of them apologized? CALLER: No, they haven’t, Rush, but I think that a lot of people who are reasonable, even if they never apologize themselves, they should just see how just unrepentant and just hard-core with rage these haters are. RUSH: I think in that crowd that these “haters” as you say are viewed as doing the Lord’s work. CALLER: Oh, I’m sure. I’m sure, Rush. I think that they look at this as sort of like President Lincoln suspending the writ of habeas corpus. It’s just a national emergency that Hillary lost, and they need to put people in jail if necessary to preserve the union. RUSH: Let me ask you, what do you mean…? You made some reference to Mr. McCain’s… What did you say, his anger or his…? What did you say? Spite? CALLER: Well, I think both of those are true, Rush. I don’t think there’s any question about it. 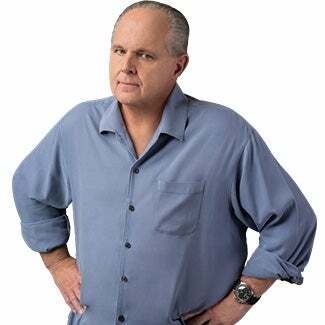 RUSH: Well, you know, Trump did say that he doesn’t have much respect for military people that get captured, and McCain’s life story is based on his being captured and remaining in the Hanoi Hilton. CALLER: Well, he didn’t accuse him of treason, Rush, or being a foreign conspirator. I mean, come on. Who’s worse in this? RUSH: So you think it’s a little strange that as McCain approaches the end of his life, that these are the things on his mind? CALLER: I think that McCain is really angry that that his side of the party seems to have lost hold of the voters. RUSH: What did you make of his admission that choosing Sarah Palin was a mistake, that he really wanted Senator Lieberman? CALLER: Well, I read the excerpt, Rush, and I think it was pitched to him by his advisers that, “Well, we’ll lose if you pick Lieberman,” and looking back now at the last eight, 10 years, I’m not sure that McCain really even cared that much about winning the general election. He did, after all, suspend his campaign two months before Election Day. CALLER: Well, and it seems to me that people like Senator McCain or Mitt Romney, their main goal in these actions is just to deny the nomination to someone like, for example, Trump or any of the other candidates like that. And then they can just go fishing, for all they care. I don’t think McCain was really in it to win in 2008. CALLER: That’s why he’s the left’s favorite type of Republican. RUSH: I know what you’re saying. I know what you’re saying. I know the point that you’re making, that you think they just wanted the next item on the resume: “Nominated presidential candidate Republican Party 2008.” But I think McCain did want to win. I just think he made some drastic misjudgments long before he even entered the primaries. But, you know, that’s then, and he’s dealing with the now. I’m glad you called. I appreciate it.